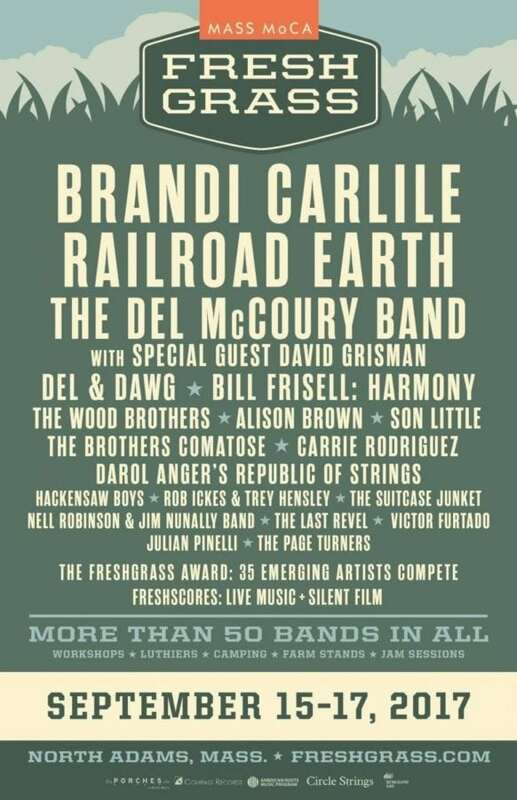 FreshGrass Drops Initial Lineup with Railroad Earth, Wood Bros.
FreshGrass Festival recently announced its initial lineup with a slew of heavy hitters, including Brandi Carlile, Railroad Earth, and Del McCoury. FreshGrass Festival welcomes a number of top acts for the seventh annual festival. The bluegrass festival returns to Mass MoCA in North Adams, Massachusetts Sept. 15 to 17 with a number of activities. The primary attraction is certainly the music, and this year’s festival will not disappoint. The lineup is topped by singer/songwriter Brandi Carlile and jamgrass act Railroad Earth. Del McCoury brings his band along with David Grisman, who joins McCoury for performances with the Del McCoury Band and the Del & Dawg duo. Jazz guitarist Bill Frisell performs with a new ensemble assembled as part of the first annual FreshGrass Composing Commission for which he was selected last summer. 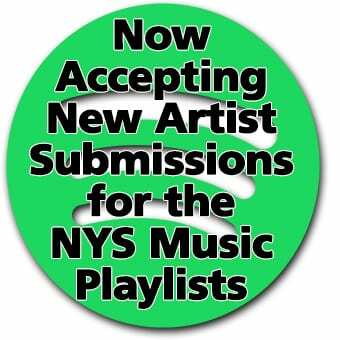 Other performers include the Wood Brothers, the Brothers Comatose, Alison Brown, Son Little and Carrie Rodriguez. The festival also includes various workshops focusing on specific instruments and bluegrass techniques. Luthiers are on site, presenting their instruments and demonstrating the craft. FreshKids offers arts and crafts, music-making and special kid-centric performances for the younger attendees. Tickets for FreshGrass are on sale now at early bird pricing of $105 for adults, $89 for students and $46 for children ages seven to 16. Those looking for a more immersive experience with priority seating and access to a private lounge can purchase the FreshPass for $350. Camping is available at the festival for $90 or $120 for RVs.